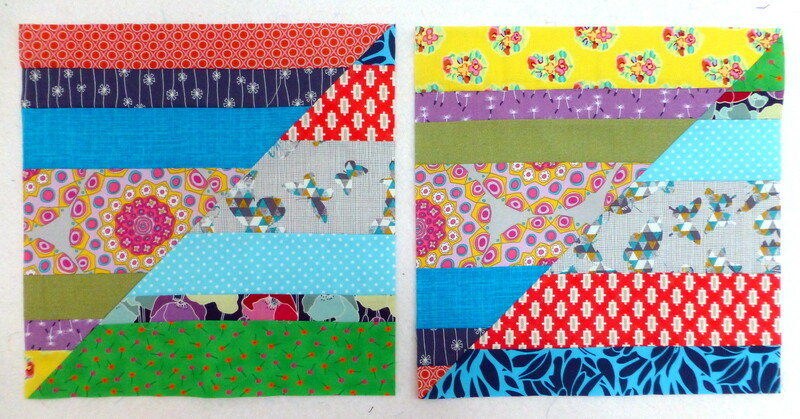 This month's Bee Blessed block is a scrap busting, strip block. For October's block Sarah and Judith are looking for Scrappy Stripey Triangles (try saying that 3 times real fast!). Judith's blocks below have a vibrant happy look to them and they are easy to make. Block Instructions can be found on Judith's blog here this month.